Blue Widow is a hybrid strain that gives you the best of both worlds, an uplifting high that keeps you feeling calm and relaxed. This indica-dominant bud (55/45 indica/sativa) has 17% THC and 0.3% CBD, so it doesn’t hit as hard as some of our other Kevin’s Corner favourites. A cross of White Widow and Blueberry, Blue Widow has a distinct sweet berry taste and a rich coating of trichomes. Its smell is slightly sour, mixed with pine and earth. Buds are laced with orange hair and sometimes tinged with blue or purple. Definitely look for that crystal coating. 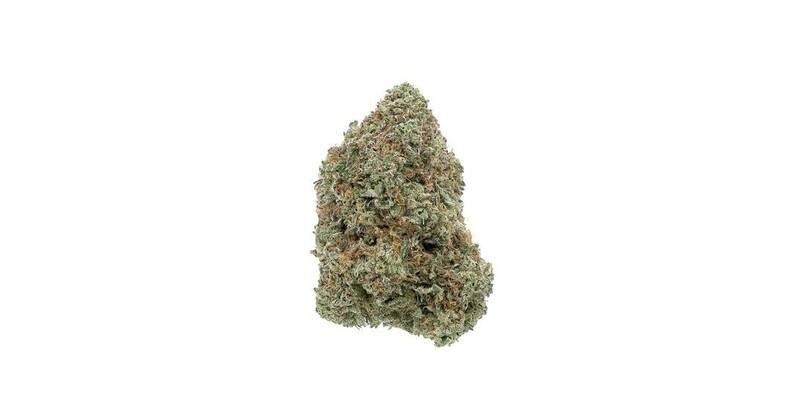 Blue Widow is a great smoke for any toker, and won’t send you into couch lock or impede your daily activities. Expect a cerebral high that helps with focus, with a balanced calming effect that melts away tension. In higher doses, this strain can make you sleepy, so be mindful of what time of day you’re using it.